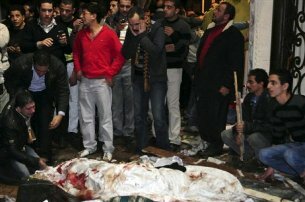 The Middle East Christian Committee (MECHRIC), an international NGO that coordinates efforts between associations from Egyptian, Iraqi, Lebanese, Sudanese, Berber, Syrian, Iranian and other Middle East Christian backgrounds condemns with vigor and vehemence, the Jihadi Terror attack massacre perpetrated against the Coptic Christian people on New Year's Eve at Saints Church in Alexandria. The barbaric act left dozens of worshipers killed and many more wounded. 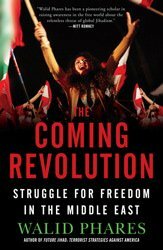 The perpetrators, executing the Jihadi operation are followers of a criminal ideology which is embodied by al Qaeda, by the Jihadi Salafi networks and by their allies and supporters who have penetrated the ruling elites in the region. The Middle East Christian Committee (MECHRIC), founded since 1981 to monitor the aggressions against the Christian peoples in the Middle East, and to express the aspirations of the oppressed Christian populations from the Indian Ocean to the Atlantic, declares its absolute solidarity with the Coptic people in Egypt and presents its condolences to the families of the victims in Alexandria. We urge the Christian peoples in the World to stand in solidarity with their brothers and sisters in Egypt and pressure their respective governments to act accordingly. We call on the democracy and human rights forces in the Arab and Muslim world to condemn these atrocities perpetrated against the Copts of Egypt and against the Christians in Iraq and in other areas of the Middle East. We hold the Egyptian Government responsible for the security of the Copts in Egypt, its indigenous and native population. We call on the United Nations to assume its responsibilities in extending its protection to endangered populations as its charter affirms, to the Coptic people of Egypt who have been under terror attacks and persecution over the past years and since decades. The Middle East Christian Committee (Mechric) hereby calls on the Secretary General of the United Nations to dispatch an investigation team to Egypt to meet with survivors and local investigators so that a report is made available to the office of the Secretary General of the UN. The "Mechric" Committee will continue to monitor the dramatic events in Egypt and will remain in contact wit the various Middle East Christian NGOs worldwide as well as with Governments and international organizations to follow up on the consequences of the massacre. MECHRIC is a federation of NGOs representing the aspirations of Mideast Christians including Copts, Maronites, Assyrians, Chaldeans, Syriacs, southern Sudanese, Iranians, Kabyles, Melkites, Orthodox, Evangelicals, Catholics and others.